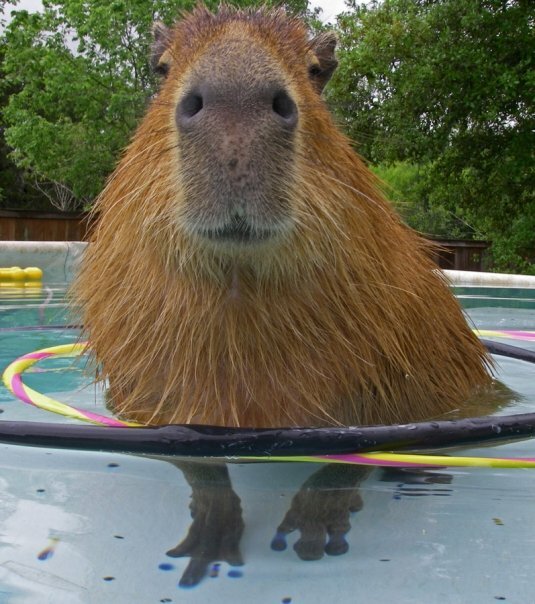 There is a time in our lives when we capybaras are as small as adult agoutis. 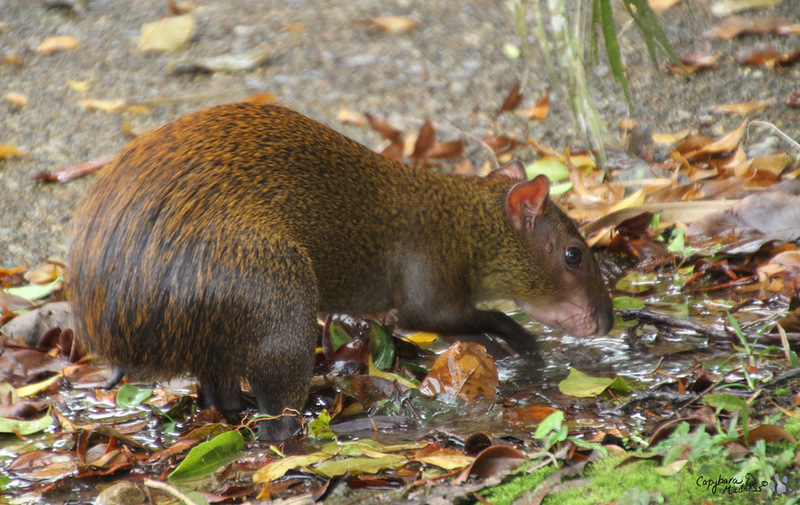 In the above photo, Caplin Rous is about two months old and the approximate size of an adult agouti, that is about eight pounds. Of course, Caplin didn’t stay that size just as I haven’t. 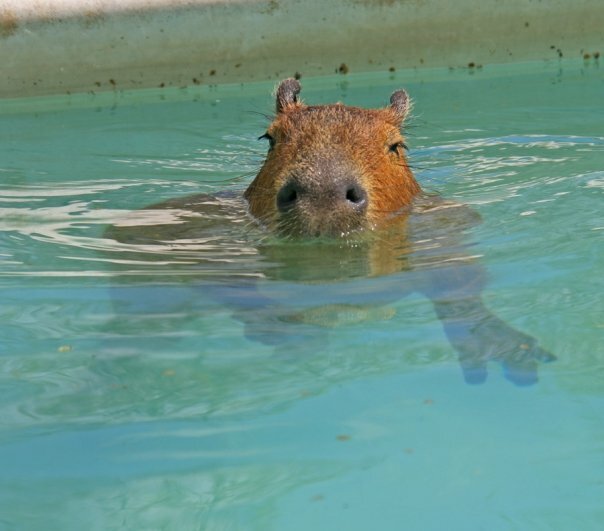 At one hundred pounds or more, an adult capybara is much, much larger than an adult agouti. 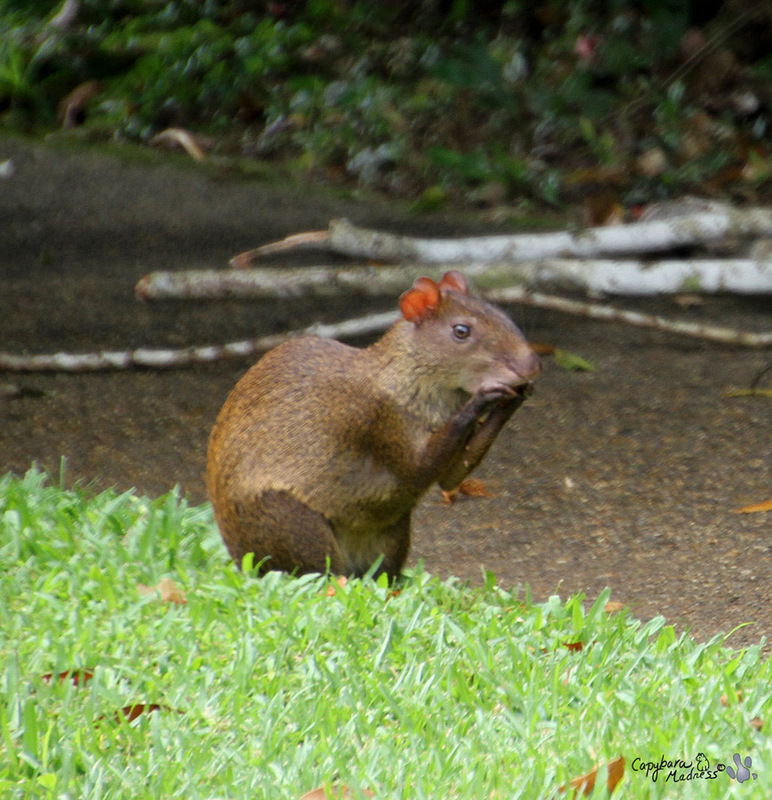 Agoutis can sit up and eat using their little paws. They can also groom themselves with their front paws, which is just crazy. 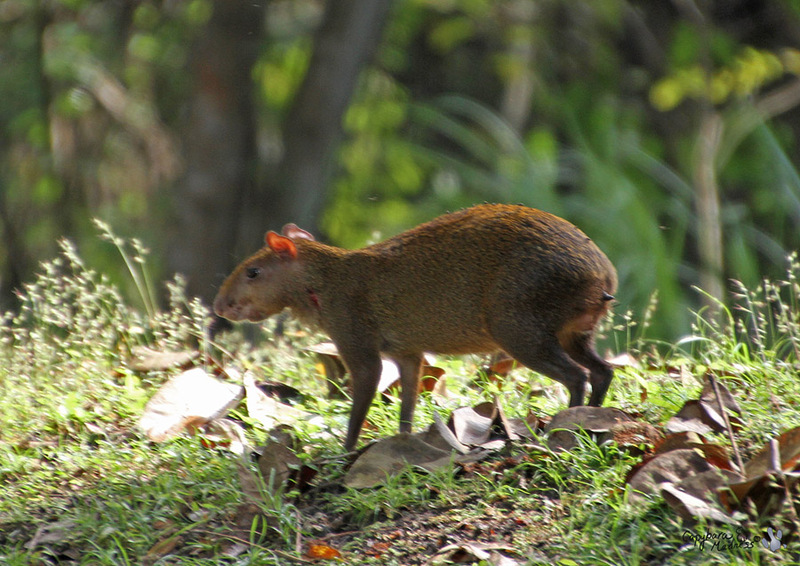 Does this agouti have a bite on his neck? It is hard being a prey animal. 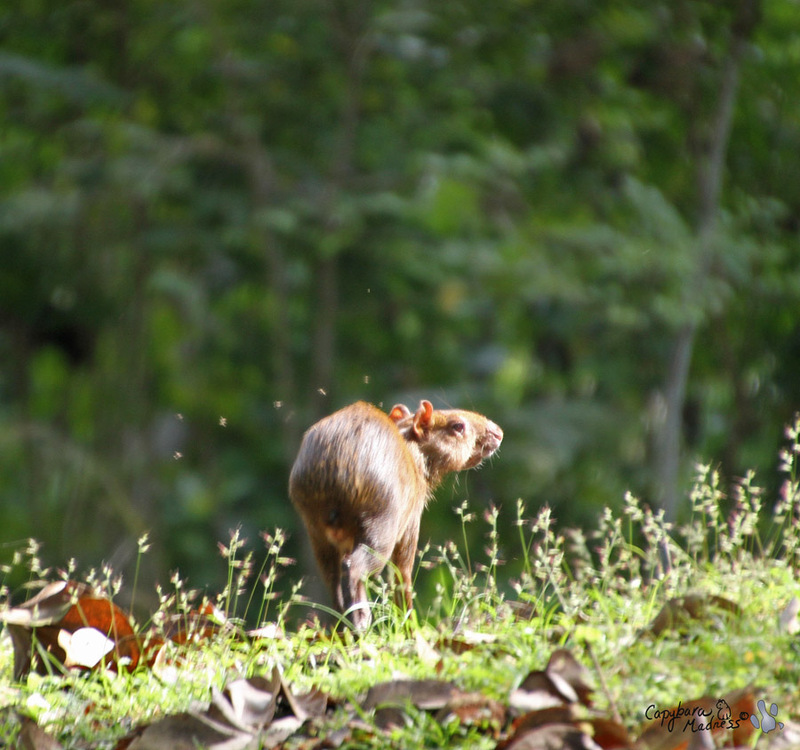 Probably it is even harder for agoutis since they are so small. Plus they can’t jump into the water for safety. Hey, did you notice the little pointy tail on that last photo? 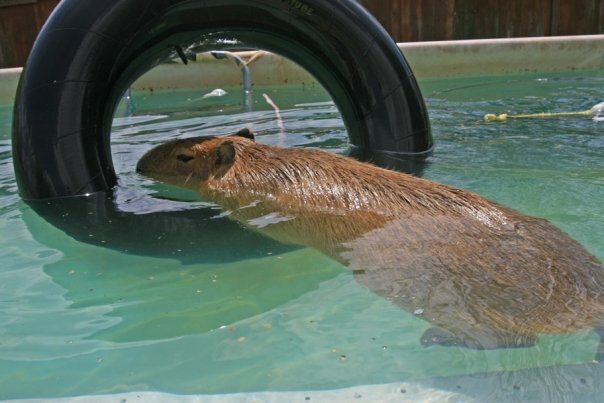 Capybaras have an even more useless tail. It isn’t even as big as that. Melly says that Caplin Rous’ tail just fell off one day and he never even noticed it. 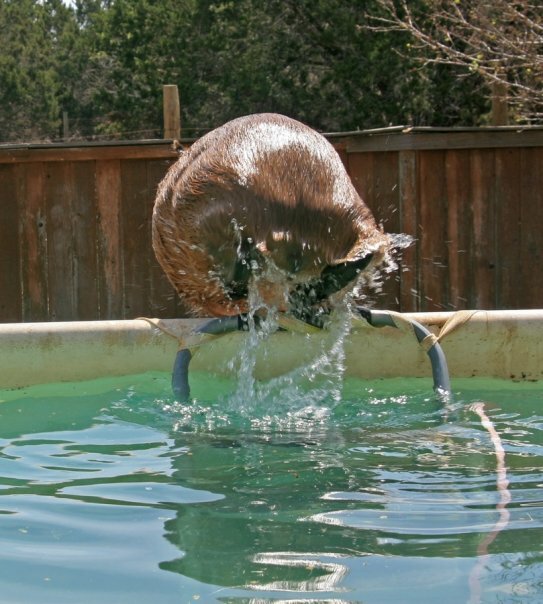 Apparently even though they are not swimmers, agoutis don’t mind getting their paws wet. Gari, your front paws are not useless. They help hold aloft your magnificent nose. What’s this abt Caplin’s tail falling off??? 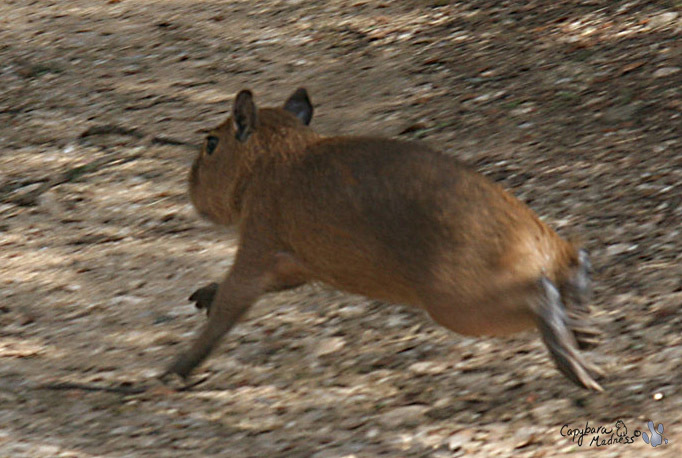 This is the first time I’ve heard capys had tails! 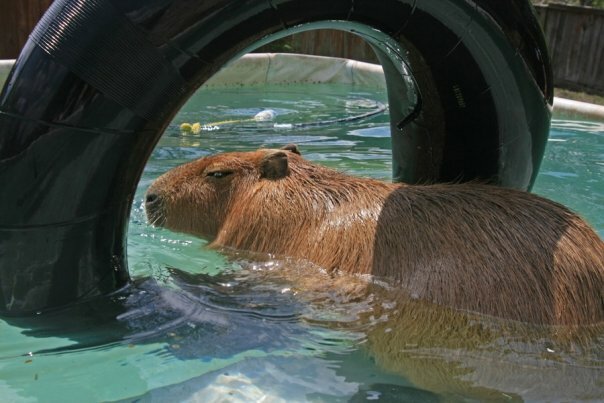 This is very reminiscent of Bing’s “I am not a hamster” video. 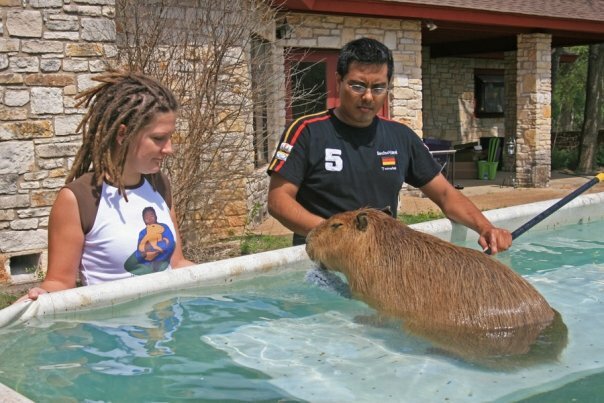 And guinea pigs are much more common than capybaras! Though I don’t think your average human knows what an agouti is, either. 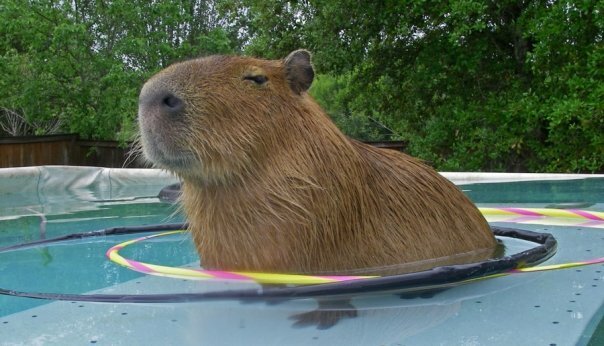 Rodent aficianados just need to be patient with the rest of the world who classifies all of them as “vermin”. Keep up the great outreach work, Gari! 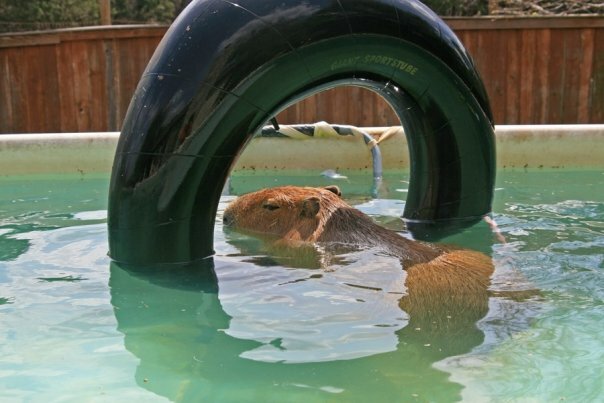 Gari, thank you for the great agouti information! I’d never heard of them before. They are cute, but they have nothing on you! I can definitely see the resemblance, and how a mere human might be confused, but you can see in the picture the build is completely different. 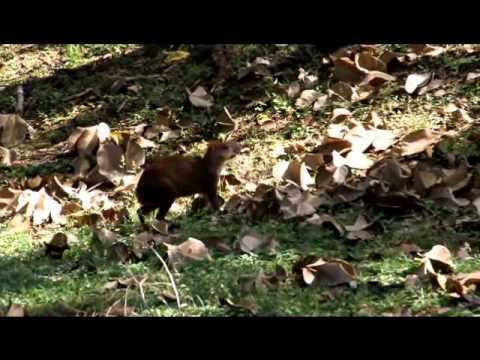 So interesting to learn that there is an animal called an agouti! My Biff’s color pattern is called “agouti,” that must be where the name comes from. What it means for him is that each individual strand of fur is banded with three colors: black, brown, and beige. In the wild, this coloration helped to camoflauge them. It’s very common in rabbits, especially in wild rabbits, and is also sometimes called “wild-type coloration.” You learn something new every day!